"CreativeLive is offering 25% off all landscape photography workshops. These workshops are from some of the best photographers in the industry and cover everything from composition to post-processing to drone photography." This offer is valid only up to May 1, 2016. Steve Simon's Cuba - The Passionate Street Photographer Workshop is almost filled. We have just a couple of seats remaining for the May 28 - June 3, 2016 adventure. Steve is taking his Cuba street smarts and combining them with his decades of knowledge as a documentary photographer to bring you this unique and special trip. Mike Hagen and his business partner Tim Vollmer are experts at leading photography trips in this beautiful island nation. They can't wait to show you everything they know about Iceland and photography. Nikon's Service and Support download center has a firmware update available for the Nikon D7200. The update covers issues in the setup menu, audio static, handling of RAW processes and proper display of leap years. Go to the Download Center for details. How do you like our new servers at nikonians.org? We have migrated to improved hardware, new disk arrays and other cool stuff. You should feel the improved response, do you? Let us know how your access to Nikonians works. What's "hot" this week in our forums? Our editorial staff and Moderating Team members run across much more topics and images than the average member, and we realize a lot of very interesting material deserves to be highlighted and shared in our community. The Weekly Hot 5 Blog encourages you to join in the discussions, or have a look at a photo that we think will inspire you to grab your Nikon gear and capture equally outstanding images. ------------------------------------------------------ Silver member Larry Jordan (ljordan316), from Florida, USA is enthusiastic with the results he's getting using his new Nikon D500. He's especially pleased with the Auto ISO, which he calls "Magic." 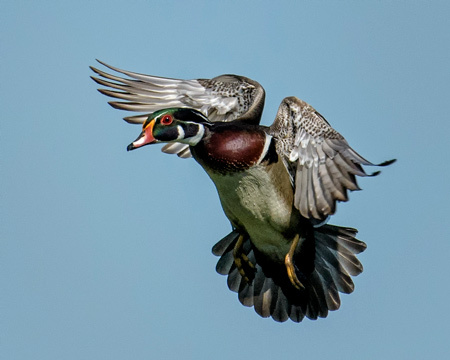 Check his post for a closer look at his sample photo to see why Larry calls his new D500 "one bird shooting machine." ------------------------------------------------------ Robert Kusztos (PhotoRoberto) from Pennsylvania, USA tells us he finally entered the FX world and he's happy with the results. He titles his post: The D610 rocks! Initial impressions. If you are still looking for member reviews on the Nikon D610, this is a good read. 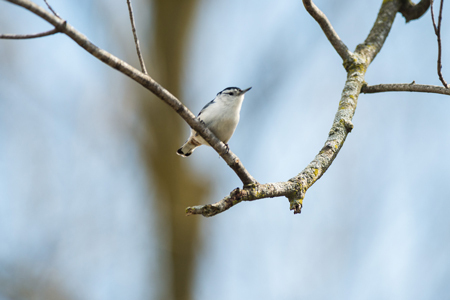 ------------------------------------------------------ Silver member D. Eric Johnson (Eric J) from Michigan, USA is having difficulties obtaining sharp images. Don't we all have that problem at one time or another? But, in his case, with his level of experience and the gear he is using, he shouldn't be having this problem. Have a look at his post, along with the sample image, and see if you can help him out. ------------------------------------------------------ Silver member Wen Wu (wwp512) from New Mexico, USA has been shooting portraits using IR. If you have been thinking about trying out your skills at IR portraiture, read his post and replies. Want to learn more? Check this post for technical background. ------------------------------------------------------Silver member Paul Sharp (nzyme) from New Zealand has nailed the proper technique for "Prop Blur." 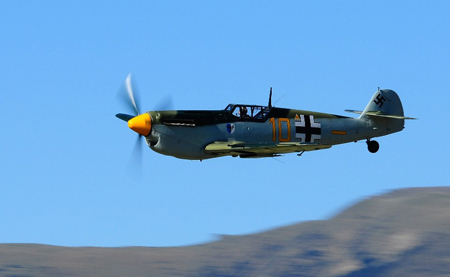 If you are new to aircraft in flight photography,"prop blur" may seem like a strange goal. It's desired because a slight blur shows motion. For more background we have an entire series of posts by members discussing the technique. Nikonians fundraising campaign has just reached 20k USD. Thanks to all who have contributed so far, and don't miss out on the special challenge we have for today and tomorrow. The Nikon Corporate Press Room has released two updates posted April 20, 2016. We sincerely apologize to our customers, business partners and all those who have expressed interest in these models for the delays. We are making every effort to bring these models to market at the earliest possible date without compromising on our standards and the total Nikon product experience. 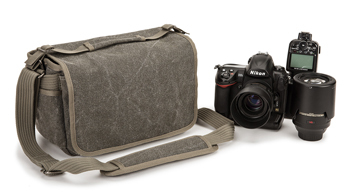 MELVILLE, NY - April 19, 2016 -- Nikon has released the Android™ version of the SnapBridge app, which enables constant connection of a compatible Nikon digital camera to a smart device using Bluetooth® low energy technology. SnapBridge is an app that offers users a number of convenient services by utilizing Bluetooth® low energy technology to enable seamless connection of a Nikon digital camera to a smart device, all while consuming very little power. SnapBridge can be downloaded free of charge from the App Store® and Google Play™. The iOS version of the app is scheduled to be available from the App Store® later this summer. The new Nikon D500 being discussed here, will feature SnapBridge technology. The Nikon D500 seems to be in high demand and our members are waiting for their preorders to be fulfilled. While we wait, we have this D500 information to digest, including the D500 user manual - enjoy! One of our existing donors to the Fundraising Campaign has issued a challenge: the member will match the total of all donations received on Thursday April 21st and Friday April 22nd. Here's a chance to double the impact of your contribution at no additional cost to you. There is an upper limit to the total match, but let's see if we can exceed it! When making your contribution, be sure to let us list the amount of your contribution, even if you want to remain anonymous, so that we can maximize the match. 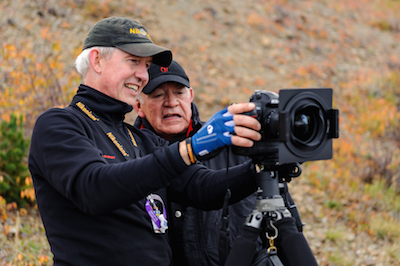 Nikonians Academy Director Mike Hagen tells us the coming months will feature some of the most popular workshops and adventures on the curriculum for 2016. Steve Simon has three upcoming Passionate Street Photographer workshops in May and June. Join him in New York City or in Havana, Cuba for some of the best photo inspiration money can buy. Steve bases his workshops off of his best-selling book, The Passionate Photographer, Ten Steps Toward Becoming Great. He has worked hard to put together itineraries, critiques and shooting scenarios that teach participants how to hone their vision and craft. "We keep refining our trip to make the most of the nesting puffins and the stunning landscapes. 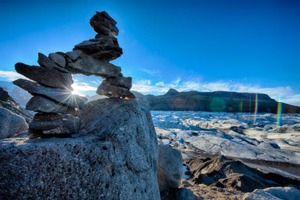 After having led many trips to Iceland, we know the area well and are able to provide trip participants with a unique Icelandic adventure they'll never forget." Join Mike and his business partner, Tim Vollmer for this Summer's Iceland trip, July 17-24, 2016. 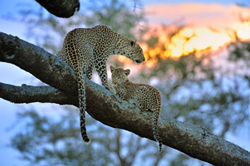 Our Africa wildlife photo safari is all set to go for this November. We still have a couple of seats available for individual photographers or for traveling couples. This is our premiere photo trip and is a journey into wild savannas, dense forests, and towering acacia trees. Prepare to shoot thousands of photos per day during our trip and watching in awe over the incredible diversity of birds, mammals and reptiles. Our trip runs November 4-15, 2016. 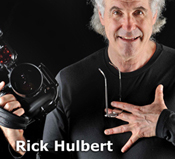 Rick Hulbert's Urban and Street Photography workshop in Chicago now has a venue. We'll be hosting our 4-day workshop in downtown Chicago at the Chicago River Hotel. This beautiful hotel is located in the heart of the city and will provide a perfect base for our daily classroom sessions and field photography sessions. The Nikon Group has announced financial aid following earthquake activity this past weekend. The Nikon group would like to express its profound sympathy and condolences to the victims of the 2016 Kumamoto Earthquake, which took place after April 14, 2016. The allocation and timing of the donation are now under consideration. The Nikon group sincerely hopes for the earliest possible recovery from this disaster. The Nikon group has decided the increased donation for the 2016 Kumamoto Earthquake than the announcement on April 18, to expand further support in consideration of the disaster situation. With this change, furthermore we have started a fund-raising activity by directors and employees and donate it as the matching gifts of the Nikon group after the end of this activity. And we continuing every effort to support for recovery of our customer plant affected by the disaster. The Nikon Group would express our profound sympathy and heartfelt concern to those individuals and families suffering from the disaster and sincerely hope for safety and swift recovery of the people and areas. The Weekly Hot 5 Blog, posted on Mondays, encourages you to join in the discussions, or have a look at a photo that we think will inspire you to grab your Nikon gear and capture equally outstanding images. ------------------------------------------------------ This week we start with a series of images posted by Silver member Linwood Ferguson (Ferguson) from Florida, USA. Gold member Willard C. Kennedy (Bill Kennedy) from Virginia, USA is wondering how our members are cleaning their lens cloths. 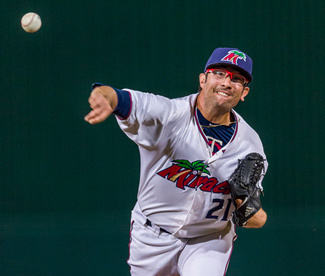 Once that cloth is exposed to detergents and fabric softeners, you get nothing but slime on your lenses. Gold member Godofredo Baylon (GBaylon) from Ontario, Canada impresses us once again with a unique Digital Artistry contest entry that includes a mini "how it was done" addition. Kenneth Crouch (Gandalf1951) from Virginia, USA says he is an "Old Nikon user trying to return to photography." He had plenty of experience in years past but now says: "I'm a little over a year from retirement and we're starting to travel more even now and I think I would like to try to get back into photography, but I have many concerns and questions." Are you in the same boat? Check the replies so far. 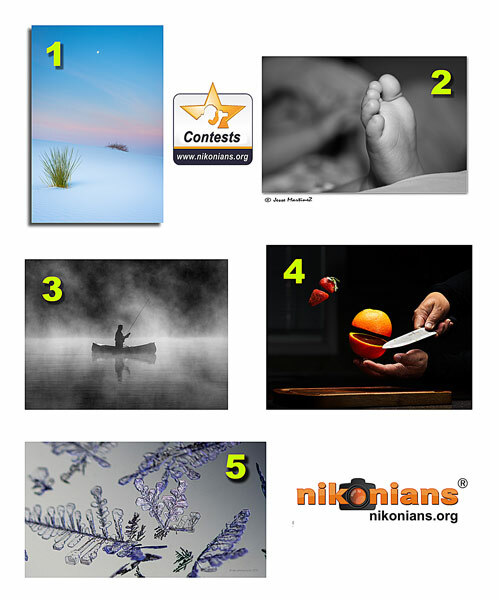 Take a look at the competition and place your votes. We are having an issue with our servers making several parts of nikonians.org and related sites not reachable. We are working on this issue and expect it to be fixed within the next few hours. Please try accessing us in a while again. We have many articles that can be helpful for learning photography. A good place to start is our how-to article section. 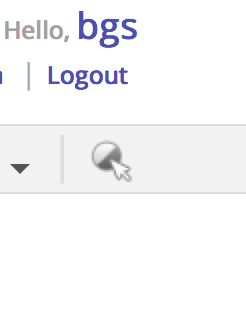 As you probably know, you can select if you want to have black or white background in the Nikonians forums by using the top right arrow icon. We are introducing this "theme" aka "skin" selector for more parts of Nikonians in the coming days. Next area to get this treatment is the article section. Thanks to our many supporters, we have been able to improve the Nikonians site giving the community an even better place to be. The fundraising campaign started in August 2015 and is now reaching its final stage. We need your support and hope that you can contribute, any amount counts. Ramón and I are continuing to lead the changes at Nikonians and there are many items on the list, some of them are due out later this year, like improved photo management and redesign of the display of photographs in our galleries. Steve Simon just finished up shooting the promotional campaign for Nikon's new camera release, the DL series. Nikon asked him to photograph Cuba with the DL24-85 and the DL18-50 because he knows the area so well. Steve is taking that vast Cuba knowledge and running a new photo workshop for us called Cuba - The Passionate Street Photographer. See Steve's DL camera report here. 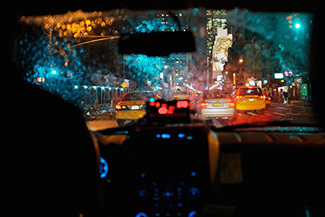 Rick Hulbert's Urban and Street Photography workshops are some of the best in the industry. 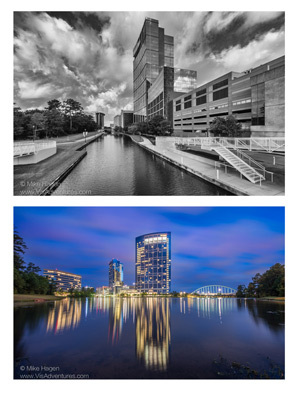 Last week, Rick and Mike Hagen ran a series of workshops in The Woodlands Texas where attendees spent two days learning Rick's unique approach to photographing architecture and people. At right are a couple of shots from his class using techniques Rick taught to the workshop participants. Rick's next Urban and Street Photography workshop is set for Chicago Illinois (September 15-18, 2016) and we'd love to have you along for the trip. This workshop has a maximum enrollment of 10 people. This workshop is designed to get you to think about concepts in Urban Photography that you hadn't thought of or considered before. That is, admittedly a rather bold statement. However, that is exactly what this four-day experience will achieve. You will discover how to better frame and crop your images using the long established principles of fine art painting and drawing. You will learn how to create jaw-dropping images that will be the envy of both your friends and potential future clients. For travel photographers, nothing beat's Iceland's stunning landscapes and beautiful birds. Nikonians Academy Director Mike Hagen is headed to Iceland this July and would love to have you along for a trip of a lifetime. Mike has coordinated the trip so we take advantage of summer's best weather while also coinciding with the puffin nesting season. Join Mike on his Iceland Photo and Bird Adventure photo tour (July 17-24, 2016). During your journey, you will photograph some of the most amazing scenery and wildlife Iceland has to offer. From verdant rolling hills to rugged mountains, the landscapes of Iceland are famous for their interplay between light and sky. Our partnership with CreativeLive continues to grow and CreativeLive keeps adding new video training content to their website. 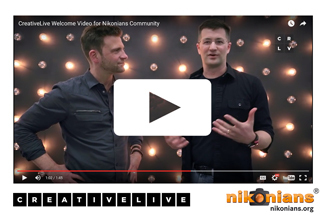 Their library of online workshops is quite extensive and you'll love what they have to offer our Nikonians community. 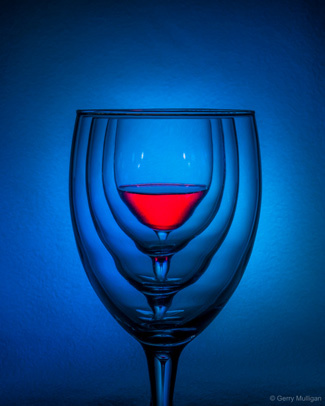 Check out the Nikonians page at CreativeLive for workshops selected by Mike Hagen here. Soon, Mike will be teaching new classes for CreativeLive that will also be available to watch live or download from their library. Our editorial staff and Moderating Team members run across much more topics and images than the average member, and we realized a lot of very interesting material deserves to be highlighted and shared in our community. Our Weekly Hot 5 Blog will be posted on Mondays and we encourage you to join in the discussions, or have a look at a photo that we think will inspire you to grab your Nikon gear and capture equally outstanding images. This week we take a look at two identical images (except for lack of color in one). We let you decide which is best. We also ask members what they do with their lens boxes, and we pass on a question regarding handheld usage of the Nikon D8xxx series cameras. 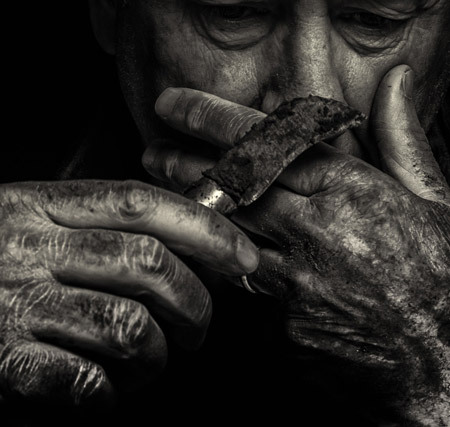 We start with this image: It's one of five images currently being polled in the Poll - March Assignment - Hands. Your votes are invited. The monthly Assignments Administrator is Rob Migliaccio (rmigliaccio) and he tells us the April Assignment (Feet) is wide open with no entries as of Monday evening. 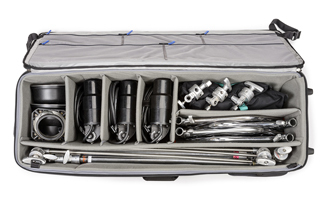 Silver member Sheri Becker (SheriB) is moving out from her farm and she's asking whether or not she should be keeping her lens boxes during the move. Silver member Larry CdeBaca (elcee) has posted two shots -- one in color and the other in black and white. Our members are weighing in on which has the best impact. 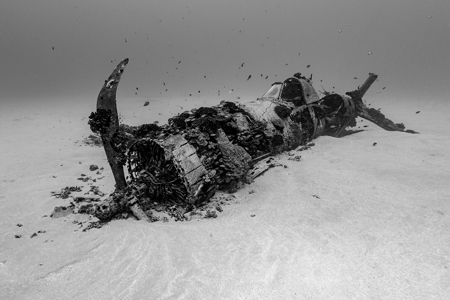 Silver member James Reynolds from Texas, USA has images (and background story) of a wrecked plane taken underwater near Oahu, Hawaii. Is the Nikon D8xxx series of cameras your best choice if you shoot primarily without a tripod? 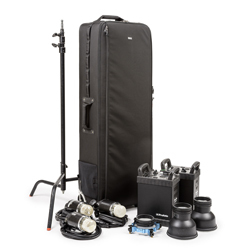 Silver member Rick Horn (mma2) from California, USA prefers hand held shooting, but he's concerned about some comments in our forums about vibrations and resolution. Check the answers so far and add your own opinions. 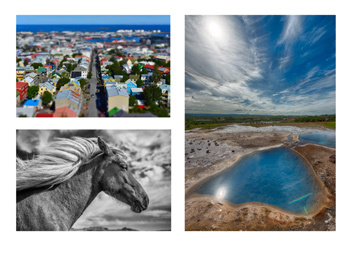 Steve Simon's world-famous Passionate Photographer workshops are back! Steve has planned three new workshops, two in New York City and one in Cuba scheduled in May and June. He has lead workshops all over the world, including Mentor Series, Macworld, PhotoPlus Expo and Gulf Photo Plus in Dubai. They are all based on his best-selling book The Passionate Photographer. These workshops vary in length from 3-days to 6-days and are designed for different price points and experiences. Check out all three of Steve's workshops here. Nikonians Academy Director Mike Hagen's Iceland photo adventure is designed specifically for bird and landscape photography (July 17-24, 2016). You will go to a number of puffin rookeries in the pursuit of the perfect puffin picture. The adventure takes you to some of the most incredible landscape photography locations. Having traveled to Iceland many times over the years, Mike and his co-leader Tim Vollmer know the best spots for photography and are especially suited to treating you to the best Iceland photographic experience possible. This workshop is strictly limited to a maximum of 10 participants. This means that you'll receive hands-on training from your workshop leaders every single day. Our goal is to help you capture incredible images and our small group size ensures you are well taken care of. Rick Hulbert has just added a new workshop to Budapest, Hungary (May 18-21, 2017). This is a unique workshop for a select few photographers and is designed to help photographers improve their urban and street photography craft. 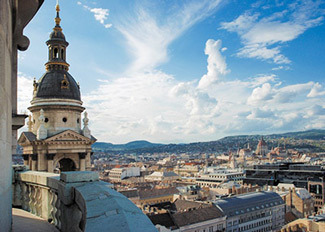 Budapest straddles the banks of the iconic Danube River. The west bank is defined by the Buda Hills, the medieval Castle Quarter, the fanciful Fisherman's Bastion, and extensive Roman ruins and remnants from the Ottoman Turks who occupied the city for 150 years. The east bank, the Pest side, is the center of culture and commerce. Dominated by its neo-Gothic parliament building, the Danube Promenade is a World Heritage site, and the inner city is rich with historic monuments, markets, Bauhaus and art nouveau buildings, as well as Soviet-era housing projects. Nikonians Contest Coordinator David Summers (dm1dave) has posted the results of the February 2016 competitions. We encourage you to click on the links to each image for a closer look, with special attention to the Digital Artistry fruit slicing photo. Godofredo Baylon (GBaylon) includes a step by step "how-to" on how it was accomplished. Our member driven competitions are unique in many ways. You can also go to our February Competition News Blog, where the image titles include links to the winning entries along with a look at the competition in each category. 1. Landscapes - "No manmade objects or people" theme winner Russ Glindmeier (russg) from Arizona, USA with his image titled Sunrise, White Sands National Monument. 2. Macro - "Something Human" theme winner Jesse Martinez (jesse101) from with his image titled Laid back. 3. Travel - "Water" theme winner Fred Laberge (labtrout) from Connecticut, USA with his image titled Early morning on Moose Pond. 4. 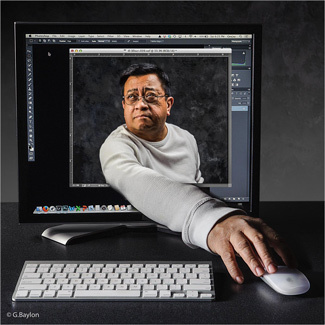 Digital Artistry - "Before and After" theme winner Godofredo Baylon (GBaylon) from Ontario, Canada with his image titled Fruit Ninja. 5. Online Assignment - "Ice" theme winner Dale Armstrong (Dgastrong) from Colorado, USA with his image titled Ice Crystals in the Morning. The Online Photo Assignments category is coordinated by Rob Migliaccio (rmigliaccio) from Rhode Island, USA. You can check his assignments updates here. You still have time to enter the March Assignment.